Foreclosure homes in Wilmington vary from old to new. The neighbourhood is basically old-fashioned yet some of the foreclosed homes are very adorable ranging from $80,000 into millions. 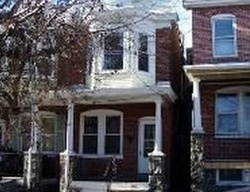 There are 479 foreclosures in Wilmington and 1,951 other homes for sale. There are also several restored foreclosures in the city. Wilmington offers Delaware's only zoo, the Wilmington Zoo, along with other beautiful attractions. The Grand Opera house, Wilmington Public Library and Rodney Square are among the wonderful destinations in the city. Outlet shops, restaurants and modern art also abound here adding to a favourable living. The different affordable foreclosures in Wilmington encourage the homeowners to experience the great life that this city offers.